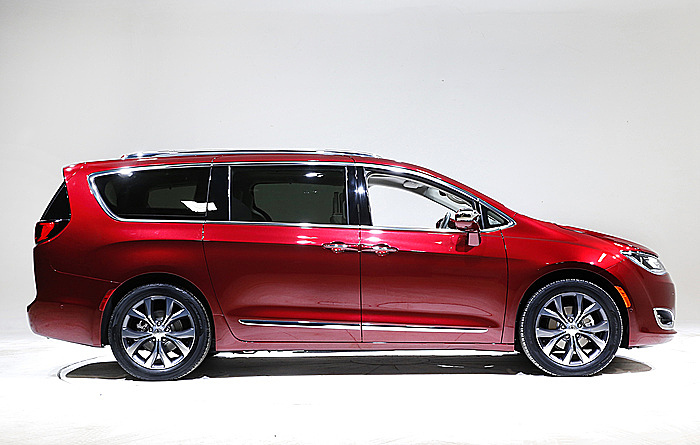 Fiat Chrysler and Google will work together to more than double the size of Google's self-driving vehicle fleet by adding 100 Chrysler Pacifica minivans. The companies announced the agreement on Tuesday, saying that Chrysler engineers would work with Google to install sensors and software so the vans can drive themselves. The added vehicles are needed as Google expands real-world testing. Google says it will own the gas-electric hybrid vans, and it's not currently licensing autonomous car technology to Fiat Chrysler or anyone else. Both companies are free to work with others as well. The added vehicles are needed as Google increases real-world testing in four cities including Mountain View, California; Austin, Texas; Kirkland, Washington; and the Phoenix area. Initially the vans will be tested by Google on its private test track in California, but eventually they'll make their way to public roads. It's the first time Google has worked directly with an auto company on installing self-driving sensors and computers. The 100 newly redesigned minivans would be "uniquely built" for Google's self-driving technology, FCA said in a statement. Both companies will have engineers at a site near Detroit to work on the vans. "The opportunity to work closely with FCA engineers will accelerate our efforts to develop a fully self-driving car that will make our roads safer," said John Krafcik, CEO of Google's project. The agreement could give FCA an inside track to manufacturing vehicles for Google because its engineers would become experienced with what Google needs. But neither company would comment on possible future deals. Currently Google's 7-year-old autonomous car project, which is now part of the so-called X lab at Alphabet Inc., Google's Mountain View-based parent company, has 21 Lexus SUVs modified to drive autonomously, plus another 33 pod-like small cars. Fiat Chrysler — which has lagged bigger, richer rivals like Volkswagen AG and General Motors Co. in the development of self-driving cars — will welcome the chance to test Google's technology. The Italian-American automaker also has manufacturing expertise and factories that Google lacks. Google has set a goal of having self-driving cars in the public's hands by 2020.